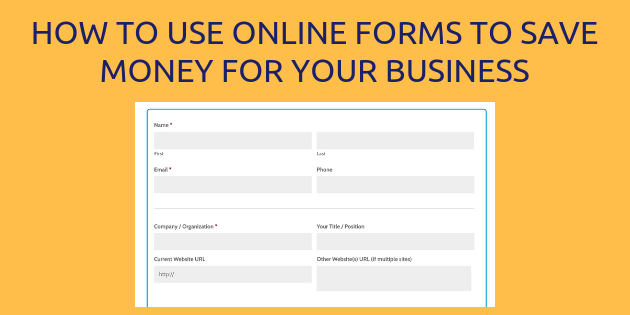 Does your business know how to use online forms? Data collection is an essential activity for your business website. It’s never been easier to do so with online forms. There are some great form creation plugins if your site is built on WordPress like Gravity Forms. You can also utilize an online form service like Google Forms, Wufoo, JotForm or FormSite. Whichever way you create online forms, there are some great ways to use them for your business. What Can You Do With Online Forms? Hosting an event can be a daunting task. Using forms to collect registrations can ease the pain the little bit. Not only can you collect data but you can also set up notifications when an attendee registers with details about dates, times, venues, etc. Have a product or service to sell? Don’t make your customers wait to make a purchase. Add online order and payment forms to your website and make sales while you sleep. With the right payment forms and payment gateway you set up your products and let the system do the rest. The money is in the list. This is the online marketer’s mantra. Social media may be where the traffic comes from but a company’s email list is how they do business. Opt-in forms are how you build that list. With a solid lead magnet, emails will roll in to your business. Find out what your customers want. Offer an easy way for customers and potential customers to ask questions and make suggestions with an online form. This is a great opportunity to learn the content you should focus on with your website. If you keep producing great content for your visitors they will share it and your traffic will continue to grow. Make it as simple as possible for your website visitors to contact your organization. With online form creators like Gravity Forms you can use conditional logic to make sure forms get routed to the proper individual or department. See our full Gravity Forms Review. The trees will LOVE you. And you will create a lot more efficiency in your business. How much time can your employees save by not having to print, process and fax paper forms? Reduce time shuffling and filing paperwork giving your staff more time for other duties. We have worked with several companies who have seen dramatic increases in efficiency with customer interactions. Reduced phone time and counter time with customers can free up hours of in your employees’ days. With online forms you can set notifications to follow up automatically with the person submitting the form. Send follow up information, payment options, links to additional content or just a simple thank you. Automating the follow up will ensure you don’t miss a lead and a timely response adds a high level of professionalism. Online forms allow businesses to move data more efficiently through their organization. In fact, with most form plugins and services the data doesn’t need to be moved, only accessed. Digital signatures make processing easy and you can grant multiple users access to the form entries to make edits, add notes and collaborate with fellow employees. No one wants to wait for forms to be processed. Online forms allow you to speed up the workflow and process submissions more quickly. Providing great customer service makes happy customers. Happy customers make return customers. Now that you know how to use forms for your business and how they can save you money, where do you see forms fitting into your organization? 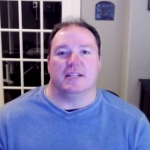 IF you found value with today’s post, please like and share with your network. Also, drop us note to ask any questions you have regarding forms and let us know how you are using them for your business.